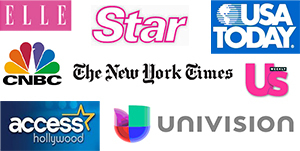 We are pleased to offer advanced skin care products to our Rodeo Drive Plastic Surgery patients and friends. Repair is never as good as prevention, particularly in skin care. Tap into skin’s own self-protective powers 24 hours a day with patented NIA 24™ – the first inside-out topical Niacin-Powered skin barrier-builder. What you’ll see. What you’ll stop seeing. Improve the appearance of sun damage, hyperpigmentation and brown spots. Reduce the appearance of fine lines & wrinkles. Improve the skin tone, texture & firmness. See stronger skin with a better self-defense against the visible signs of sun damage and moisture loss. Who’s is NIA 24™ for? NIA 24™ is ideal for any patient, both female and male, who sees—or doesn’t want to see—the premature signs of aging, from lines to age spots. As a skin strengthener, it’s also a necessary companion for those undergoing serious skin care or procedures. NIA 24 products also work in conjunction with other products and skin rejuvenation therapies to promote a better overall result. How does NIA 24™ work? By stimulating the skin’s natural barrier function, NIA 24 builds stronger, better skin that’s more resilient and resistant to damage. By improving the skin’s barrier function, overall skin tone and texture improve. NIA 24 reduces the appearance of visible brown spots, hyperpigmentation and lines specifically associated with sun damage. Without it, skin falls prey to daily sun and environmental stresses that slow skin’s self protective function and speed the visible signs of aging. Continuous dermal-delivery of Niacin without vasodilation and photosensitivity. Why does NIA 24™ work? During research partially funded by the National Institutes of Health, scientists identified an important role for the active form of Niacin in how cells respond to genetic damage. NIA 24 introduces that breakthrough: patented Pro-Niacin. While Niacin is used in other products on the market, Pro-Niacin is the first and only patented Niacin molecule that converts to its active form to regenerate skin cell layers. Help stimulate natural repair processes to renew healthy skin cells. Energize skin to promote healthy skin function and a more vital appearance. Strengthen the skin barrier for overall resilience and improved damage resistance. The Pro-Niacin molecule breakthrough is the result of 25 years of research into cellular DNA damage in the formation of cancer. So beneficial, it’s been chosen by the National Cancer Institute for development as a potential skin cancer prevention agent. Integrity in every NIA 24™ product. The National Cancer Institute recently chose the Pro-Niacin molecule for development as a potential skin cancer prevention agent. 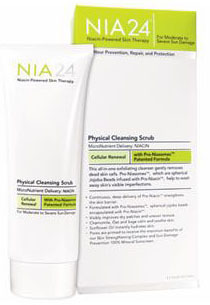 Gentle and beneficial for nearly every patient, NIA 24™ skin care products are a necessary daily protocol for those choosing the most effective treatment regimens or procedures, as well as anyone with a history of sensitized skin, or even sun worship. Getting started on the path to better skin couldn’t be easier. 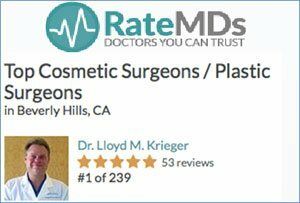 Contact Rodeo Drive Plastic Surgery for more information about our skin care products.